GET THE DIGITAL BOOKLET NOW! Recorded at the legendary Capitol Studios in Hollywood, the John Mayer, Sting and Steely Dan influenced Pictures and Frames, Steve's first all-vocal album, features the all star rhythm section of bassist Leland Sklar (whose 2,000 studio sessions include multiple albums with James Taylor, Phil Collins and Linda Ronstadt) and legendary jazz/rock drummer Vinnie Colaiuta,known for his work with Sting, Joni Mitchell, Eric Clapton and Herbie Hancock, among hundreds of others. With his fascinating mix of melodic, acoustic guitar, driving grooves, soulful lead singing and infectious, seemingly extraterrestrial talents as a human drum and vocal soundscape master, Steve Oliver has, over the past 15 years, titled his albums after the uplifting vibes he’s created. Early on, he recorded POSITIVE ENERGY and RADIANT. Later, incorporating more of a universal consciousness and world rhythms, he released GLOBAL KISS and WORLD CITIZEN. BEST SO FAR is a spirited 15 track set featuring the multi-talented performer’s many infectious radio smashes (including two re-recorded from his 1999 debut FIRST VIEW) and two irresistible new tracks including the first single, "Calling You." BEST OF SO FAR is a great overview of one of the genre’s most unique creative geniuses! On World Citizen, Steve Oliver creates an amazing array of sounds with his guitar, guitar synth and voice (singing three lead vocals and many wordless passages), and introduces his skills on the violin on “Fiesta.” He invites along keyboardist Tom Schuman and drummer/percussionist Bonny B (both from Spyro Gyra), saxophonists Paul Taylor, Andrew Neu and Will Donato, bassists Eddie Reddick, Donald Philips, KT Tyler and Billy Sherwood (from the legendary band Yes); and Moody Blues keyboardist Alan Hewitt on the Hammond B-3 organ on the funky and bluesy, brass splashed opening track "Watching The World". No Oliver recording would be complete without a batch of high energy tunes showcasing his infectious, husky lead vocals, which he delivers via “How Will You Know” (an incisive powerful song which questions 'know it all types' who speak of things they have never experienced themselves), the empowering soul-jazz anthem “New Possibilities” (featuring lyrics co-written by Oliver and Grammy winning singer/songwriter Jim Peterik, of Ides of March and Survivor fame). It’s certainly not hard to understand why Steve Oliver has become such a standout in the format. Always original, Oliver has never been content to play it safe and remake the same record over and over. With his 5th studio recording, GLOBAL KISS, Oliver once again breaks new musical ground. As he himself states, “I’m an advocate of music healing and bringing people together in the global community. It’s healthy. When you’re hearing a song and you get goosebumps as it’s moving through you, there’s power there.” And from start to finish, GLOBAL KISS is powerful and thoroughly enjoyable. Whether it’s the aptly titled first single, “Fun In The Sun,” the Latin tinged “Ba Aye,” “Angel Amore,” with its exquisite melody or the recording's three vocal tracks (yes, Mr. Oliver is THAT versatile and talented), you’ll find yourself coming back to be “kissed” again and again. Hang on to your seats and prepare yourself for the live experience that is STEVE OLIVER. His jubilant, growing legacy continues with the release of his first ever DVD/CD 2 disk set, "One Night Live". Often likened to a hybrid of George Benson and Bobby McFerrin, Steve revels in sharing the joy of what he does best - celebrating life and music. Snowfall is a tasteful and lovely collection of works from the joyful guitarist/singer Steve Oliver. It includes favorite seasonal melodies displayed in stunning Steve Oliver arrangements - plus, two originals. In addition to the sparkling and flowing instrumentals, the album features a scattering of vocals. His version of "Silent Night" will move you and he's nothing short of dynamic on his original "Watching The Snowfall." The quality and precision of Steve's voice is on the same level as say, Michael McDonald or Kenny Loggins. Add Snowfall to your holiday playlist and listen to Steve O shine brightly. A single adjective perfectly describes the powerful synergy Steve Oliver and his audiences have shared since the he first energized the contemporary jazz scene in 1999 with his hit debut First View. Radiant, a word which beautifully defines the collection s uplifting spirit and celebration of music and life. With his fascinating mix of melodic guitar, driving grooves, soulful singing and infectious, seemingly extraterrestrial talents as a human drum and vocal soundscape master, Oliver keeps the optimistic vibes rolling. Radiant thrives on the thrilling sunshine of lively, playful nylon string-driven tracks like the opener (whose title says it all) Feeling Good ; Tradewinds (which begins in a dreamy, swaying mode before evolving into a funky jam); Good To Go, a Latin/world music fusion explosion featuring a sizzling, full-throttle offering of Oliver s guitar, vocalese, vocal percussion and trippy production ambience; and the brassy and bluesy, R&B flavored Cool. Oliver's sensual and romantic side balances the party music via moody, atmospheric gems like Shadow of The Moon (which features Stevie Wonder s longtime trumpet player Steve Madeo), Reach The Sky and the mystical, retro-soul flavored Shine. Radiant Dreams and the deeply heartfelt vocal ballad Bend or Break show Oliver s tremendous growth over the years as an expressive pop songwriter. Steve Oliver enters an exciting new dimension on his appropriately titled third album, 3-D. Oliver, balancing nine instrumental tracks with three compelling and soulful lead vocal cuts, digs deep into a rich variety of influences for a multi-faceted romp through the worlds of pop, jazz, urban/hip-hop, world beat, Brazilian and Latin music. While focusing as always on his classic acoustic guitar and brilliant vocalese to convey the lead melodies on the instrumentals, he stretches into edgier blues territory with his lesser heard electric on In The Shade of Cool. Joining Oliver are all-star guests like Fourplay drummer Harvey Mason (who adds his gentle rhythmic touch to the lush romantic atmospheres of the title track) and saxophonist Eric Marienthal (soulful harmony on the lilting ballad She s Got the Way-O, punchy riffs and call and response amidst the brass, retro-soul and party groove mania of Funhouse ). 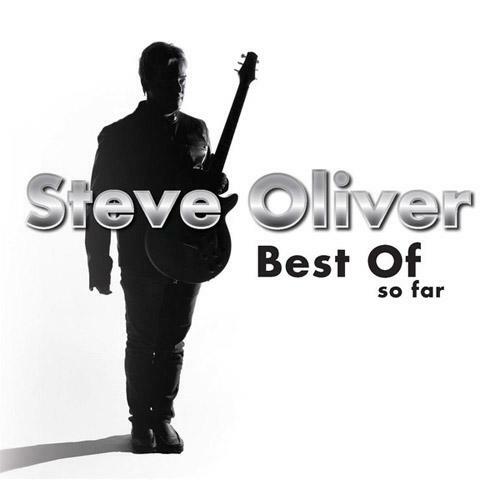 Steve Oliver’s jubilant and growing legacy continues with his second studio album Positive Energy. Oliver creates a synergy with his audience in both small intimate venues or on large festival stages. He began using vocals simply attempting to convey musical notes and opening beats to his fellow musicians in the studio. He tried it once in a live setting, and a new sound was born. All of this is brought to you by the power of Positive Energy, the bright side of the street approach to life in it’s re-release, which hit the Billboard Top 20 and ranked #1 on the year end list of the fifty most played recordings throughout Canada in 2003, according to smoothjazzcanada.com. Steve was also named Best New Artist and Best Guitar Player the same year. The Smash hit “High Noon," reached #3 on the Radio & Records smooth jazz airplay chart in the U.S. and was one of the most played songs of the year in the format. Whether you are finding Positive Energy for the first time or rediscovering it for your collection, tearing the shrink wrap off the CD or downloading it to your iPod will put a smile on your face and Positive Energy!! First View reveals Steve Oliver as a strong melodic player and composer equally comfortable on sweet little gems like "I Know" and the slamming razor sharp funk of "Happy Feet"; Oliver was able to bring a fresh new hip-hop feel to the silly standard "Midnight at the Oasis." Another trademark is his remarkable soprano-voiced scatting ability, which he weaves seamlessly into his guitar lines. Still, it's got to be a secure feeling having percussionist Steve Reid, saxmen Paul Taylor and Jeff Kashiwa, keyboardist Dave Kochanski and bassist Kim Stone helping out. "East Wind," finds him right at home exploring more hard-edged blues flavors. Even if his basic acoustic sound is of the cool variety, he likes to surround it with hard-hitting grooves at times; "Happy Feet's" foundation provides the perfect balance for Oliver's lighter touch.